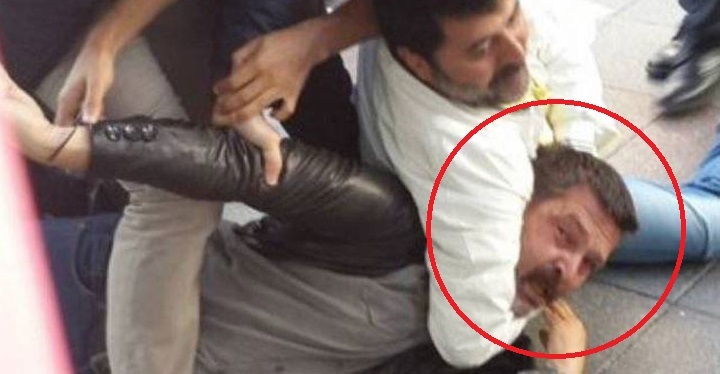 The passport of Erkan Baş, chairman of the People’s Communist Party of Turkey (HTKP), was seized by Turkish police at an İstanbul airport on Sunday, Sputnik reported. According to the report Baş arrived at İstanbul Atatürk Airport in the morning for a flight to Moscow to participate the 100th anniversary celebration of the October Revolution. But police seized Baş’s passport as he went through immigration. “They used to yell all the time ‘Communist, go to Moscow’ … I tried to go once in 100 years, and they seized my passport, I cannot go, I am at Atatürk Airport,” the HTKP leader tweeted on Sunday morning. According to a report by the pro-government Sabah daily on July 10, Turkish police have seized 4,806 passports and detained 132 people at İstanbul Atatürk Airport as part of investigations into alleged followers of the Gülen group, which is accused by the government of organizing a coup attempt on July 15, 2016.